MCCR is a running club for runners of all levels in Medina county and the surrounding area. They host meet-ups to run and also host a few well-known races. What aid station specific advice would you give to first time Burning River runners? earlier once the sun comes out and it gets HOT. 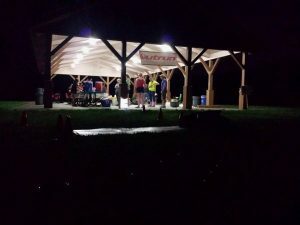 OutRUN is on their 7th year volunteering at this aid station. This group focuses on building the running community for all shapes, sizes, speeds, terrains, and distances. What is the strangest thing you have seen at an aid station over the years? Strange is relative and in ultrarunning, relatively is pretty broad. I’d say I’m pretty accustom to strange. I did; however, once see a volunteer washing a runner’s feet (someone she did not know). The Darwinian Running Club (DRC) is a loose affiliation of drinkers with a running problem. Primarily located in the Chagrin Valley, we support each other in running, biking, swimming and general festivities. -Words of wisdom to all the participants who are gearing up to run BR? Run strong and if all else fails, drink a beer. Black Girls RUN! 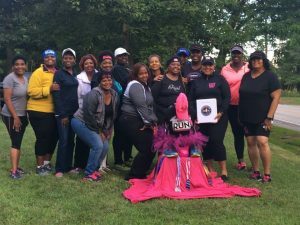 was created in an effort to tackle the growing obesity epidemic in the African-American community and provide encouragement and resources to both new and veteran runners. The mission of Black Girls RUN! is to encourage ALL (especially African-American women) to make fitness and healthy living a priority.-Words of wisdom to all the participants who are gearing up to run BR? Want to volunteer? Click here to sign up! Check out part two of this article for more information about volunteers that will help you carry on. April 1, 2019 0 April Fool’s Day!